The term “white collar crime” is commonly used to describe crimes that relate to financial or business matters that involve fraud. While unique from other crimes, the penalties for these offenses can be severe and may involve fines, forfeiture of property, and jail. If you are charged with a white collar crime, it is important that you consult with a Orlando criminal attorney at your earliest opportunity to learn about your rights and the defenses that may be available to you. One of the significant difference between white collar crimeand other crimes is that they commonly involve issues that transcend beyond the potential criminal penalties into matters related to business operations and reputation. A negative outcome can also lead to adverse effects on the business’s present and future performance or viability. Another unique factor usually present in white collar crime cases is the complexities involved in adequately understanding all of the issues at hand. These crimes typically involve voluminous amounts of financial and transactional documentation that can be more difficult to decipher and understand than what is typically involved in other types of crimes. Unlike many other offenses, white collar crimes also frequently involve federal as opposed to State prosecutions. This is because these crimes often cross State or international boundaries. One common type of white collar crime is that of fraud. Criminal acts of fraud are sometimes brought against both an individual and a business. Unlike an individual though, a business cannot be sentenced to jail. The term fraud is general in nature as there are a number of different types criminal acts involving fraud, some of which are described below. Essentially though, fraud involves some alleged act of misrepresentation on the part of the individual or business charged with the crime. Another white collar crime is illegal insider trading. This crime involves the buying or selling of a security, in breach of a fiduciary duty or other relationship of trust and confidence, while in possession of material or nonpublic information about the security. Insider trading violations may also include “tipping” such information, securities trading by the person “tipped,” and securities trading by those who misappropriate such information. Antitrust fraud is the use of practices such as price-fixing and monopolies to stifle competition. Bankruptcy fraud is committed by businesses or individuals that conceal assets, mislead creditors, falsely claim bankruptcy, file multiple bankruptcy claims, or launch petition mills. Bribery occurs when something of value is promised, given, or taken from an individual or corporation in an attempt to influence views, opinions, or decisions. This involves the use of a computer to engage in an illegal activity. Credit card fraud involves the unauthorized use of a credit card to make purchases. Embezzlement occurs when an individual who has been entrusted with funds steals them for their own benefit. This is the illegal release of potentially harmful pollutants into the air, water, or soil. This includes any monetary fraud or embezzlement against an individual or institution. This is any fraud committed against the U.S. Government or one of its contractors, including public housing, educational programs, and agricultural programs. Identity fraud refers to the theft of one’s personal information so as to use it for opening credit card accounts, applying for loans, purchasing cellular phones, or committing serious crimes. This involves the filing of artificial or exaggerated claims to an insurance company. These involve the return of money from a buyer to a seller as part of a collusive agreement. Mail fraud involves the use of the U.S. Postal Service or another registered mail service to commit a crime. Trade secret fraud is the theft of a confidential plan, formula, idea, or collection of information that could benefit a business. 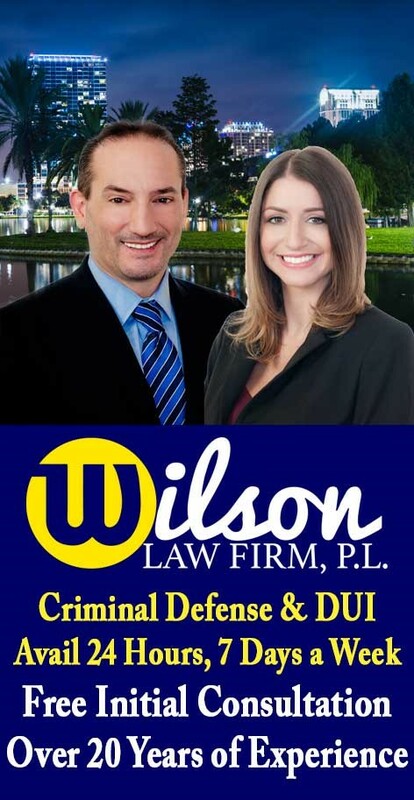 If you or a loved one have been arrested for a white collar crime, call the Wilson Law Firm today to speak with an experienced Orlando criminal attorney about your individual situation. An experienced Orlando criminal attorney will be able to recognize the legal issues that exist in your case and properly prepare and present your defenses. In many white collar crime cases, a properly prepared defense by a criminal lawyer will result in either reduced penalties, reduced charges, or a dismissal of the charges. Even in criminal cases where the evidence of guilt is overwhelming, a properly prepared defense and presentation of mitigating circumstances by an Orlando criminal attorney can result in significant decreases in the penalties you receive. White Collar Crime – The Wilson Law Firm provides a free initial consultation with an experienced Orlando criminal attorney. Call us today to speak with an Orange County criminal lawyer about the legal process and your rights.